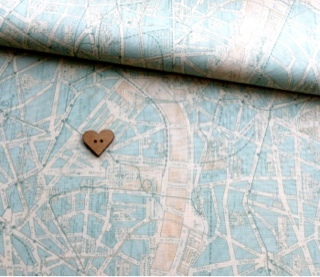 I recently joined a texty fabric swap with May, and although I haven't used many of the charms I received, I'm still loving looking at and fondling them (you understand don't you), so when she invited people to join a Map fabric swap I couldn't resist! to be cut into layer cake squares (10 inch squares) as my contribution to the swap. I do like a good map, but can't think what I'd actually do with 10" squares of them right now!